You can learn how to arrange fresh or silk flowers into beautiful seasonal displays. Join florist Cydney Davis-English as she explains flower care, tools and how to create arrangements. Designing with flowers, both fresh and silk, can be a creative, fun and relaxing experience. Embracing the beauty of flowers will brighten your days, liven up your parties and enrich your family and holiday gatherings. Expert florist Cydney Davis-English will quickly have you feeling comfortable and confident as you work with, prune and arrange flowers into four beautiful arrangements for spring, summer, autumn and winter. You'll learn about tools and materials for flower arranging and sample a wide variety of beautiful blooms as you watch Cydney create each arrangement step by step throughout this video. 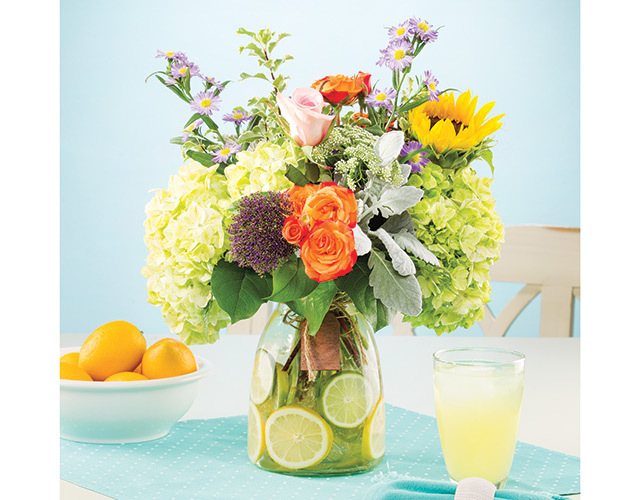 You'll soon feel inspired to bring the beauty of flowers into your everyday life. Pick the right tools for cutting flowers and foliage. Tricks for making flower blooms open beautifully and last longer. Prepare roses, tulips, irises, snapdragons and many other flowers for long-lasting beauty. 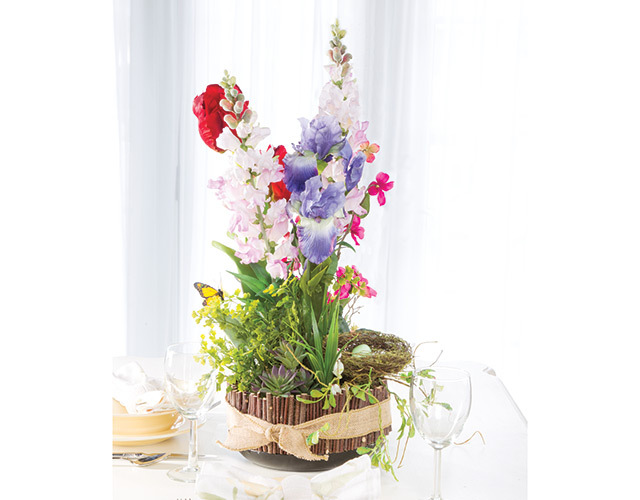 Choose greenery to accent and enhance the flowers. 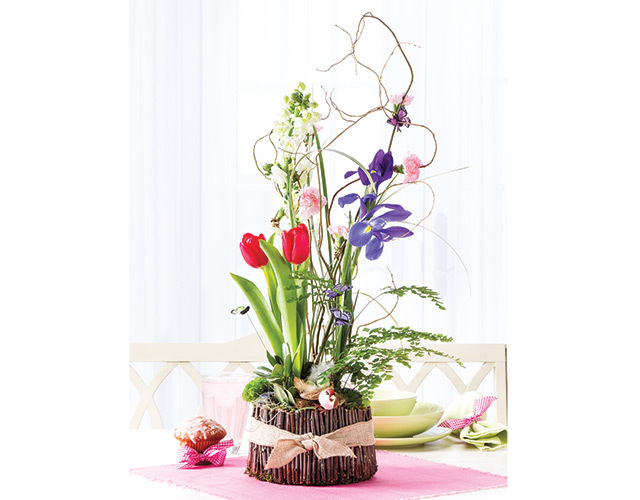 Build a bouquet with balanced color and shape. Create cascading, terraced and palisade designs. Add modern touches to a traditional design. Build an organic container out of twigs. Add botanical and silk embellishments that look realistic. 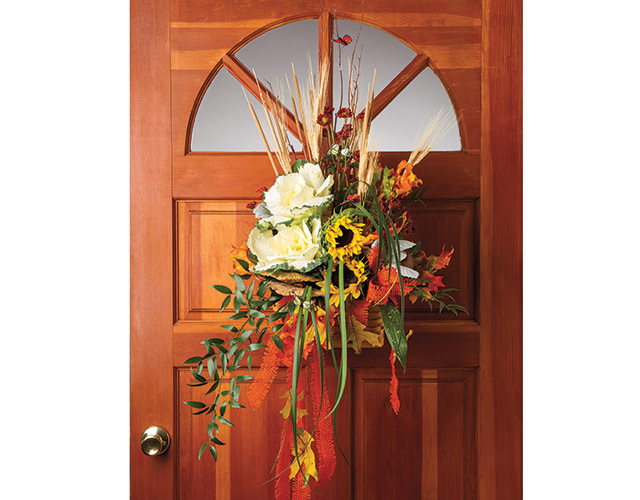 Adapt a wintry table centerpiece into a beautiful door wreath. 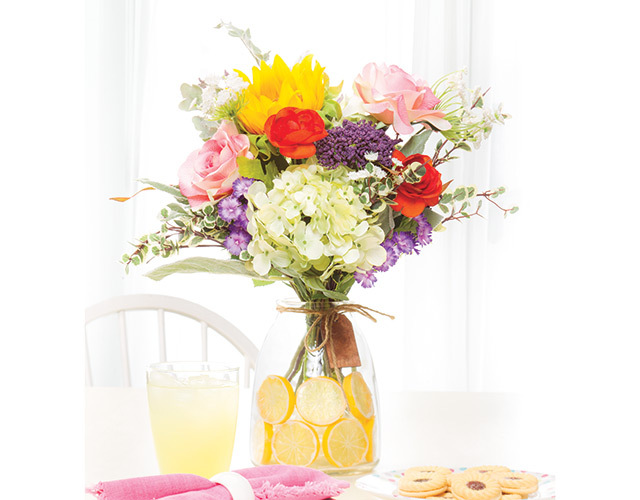 Class includes complete instructions to make four exclusive projects in both fresh flowers and silk: Springtime Serenade, Summertime Fresh From the Market, Cascading Autumn Walk Door Decor and Winterberry Candle Ring Centerpiece. 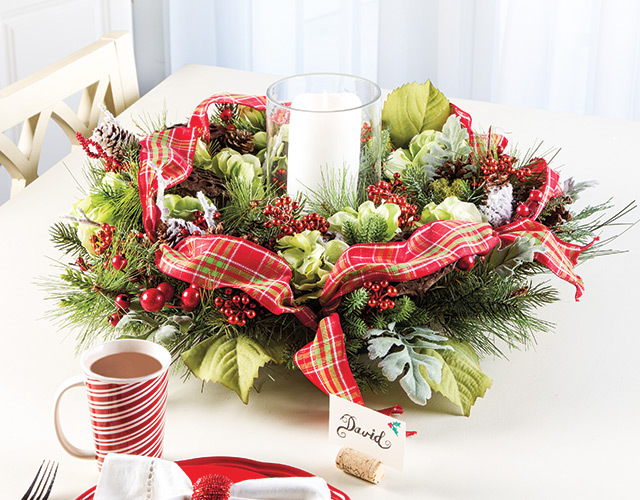 Easy, Elegant Flower Arranging streaming online class and DVD include full video and written instructions to make the Winterberry Christmas Wreath & Centerpiece. 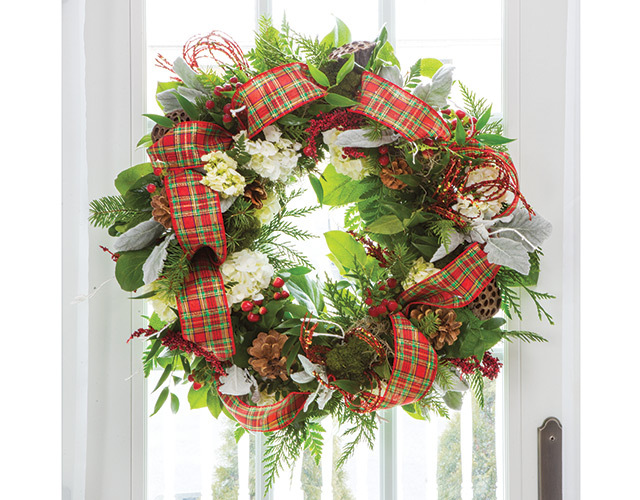 If you purchase Winterberry Christmas Wreath & Centerpiece single-project online workshop and later purchase Easy, Elegant Flower Arranging, you can receive credit for the single-project workshop by emailing Customer_Service@AnniesCraftStore.com or calling 1-800-282-6643. The classes are very amazing.Thanks for sharing the precious techniques. I am looking forward to get an opportunity to decorate in a festival. 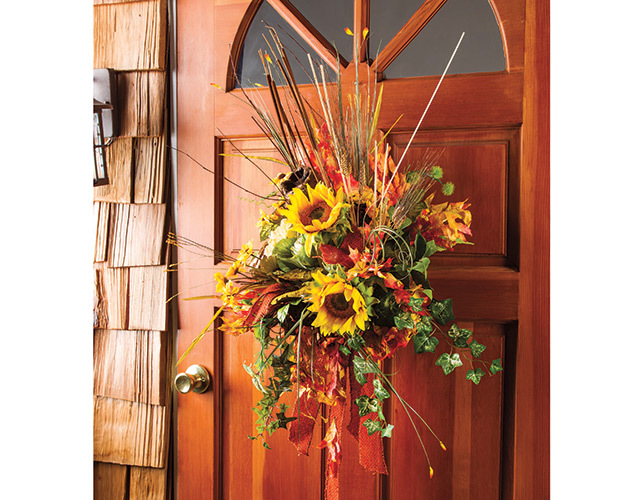 The flower arrangements,in a seasonal,step to step instructions. And different flowers. And its beauty. The classes are excellent. Please share with us more. Thanks a lot. Absolutely loved Cydney's teaching and presentation. I'm from the UK, so I'm not sure where her accent is from, but I found it charming, and could listen to her all day. She is wonderful to listen to, and so inspiring. I've never done flower arranging before in my life. I've always admired beautiful flower arrangements, so only watched the preview out of mere curiosity. I then became hooked and totally mesmerized by it. It also made me realize where I'd being going wrong for years - in my care of flowers. She explains everything so well. She makes everything seem so easy, logical and straight-forward to do, as well as ending up with something so beautifully presented and balanced. So much so, I am now looking into floristry courses in the UK. Thank you Cydney, you've totally inspired me. I do hope you will consider doing more flower arranging classes online. I would sign up to any of them, straight away. And yes, as above - a class on silk flowers on their own, would be very helpful. I enjoyed the class. The fresh and silk versions of each arrangement were great. I would suggest a class on silk arrangements. You have different problems with silk flower arranging that was not discussed in this class. Also, the instructor would repeat herself and was to chatty. These videos are incredibly detailed, and easy to follow along. There's really nothing missing here, a complete supplies list, and lots of information on how and why the instructor is doing specific things. Handling of various elements such as fresh, artificial or dried flowers is covered and it was fun to see and learn various techniques with all the fun little 'tricks of the trade". I'm a complete beginner with flower arranging, and I think I can now begin to branch out on my own designs using the information I've learned here. Thanks so much to everyone at Annie's! I have learned from this class that there is so much more to making arrangements look wonderful and the best part was she made it so easy to understand. I am so confident that I can do this! !